Things are almost wrapped up around here. And, these are some of my favorite “wraps” of the season. How are you doing on your lists? Almost there? There’s not much time….but you know what. It will all get done. Or it won’t. And, that’s ok, too! Perfect presents….and a little pretty therapy….to get each of us through the holidays! Good to keep one's focus this time and know that we can only do our best….as my husband loves to say, "You get what you get and you don't get upset!" 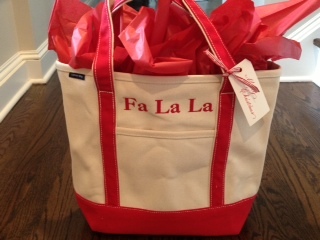 OK, the fa la la bag is adorable! almost wrapped up here. Waiting on a delivery later today, and a quick run to container store for some odd sized boxes and I'm done. Beautiful wrapping for sure! Wish you would come wrap at my house! Hope you have a wonderful Christmas, Elizabeth! My gift wrapping is not too fancy this year- just not enough time! Love your fa la la bag. 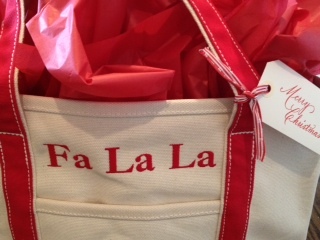 The fa la la bag is so cool! Nice work! Fa, La, La indeed! I am so behind in my wrapping but it will get done, right? Almost done with everything here…good thing since my guests arrive in a couple of hours! We're all decked, trimmed and wrapped around here so we hope to spend the weekend relaxing and enjoying the magic of the season! Love your red and white wrapping theme. Happy weekend, Elizabeth. Dear Elizabeth – Looking very festive!! 🙂 I want to wish you and your family a Merry Christmas. And a beautiful and bright New Year! I wish you and yours a Merry and warm Christmas. May Santa bring you all good things. Hope you have a peaceful ending to the year and that you enter 2013 full of energy and direction. Love it! Fa la la la la….yes it will get done or not! LOL! Another beautiful post! I love this bag, Elizabeth. 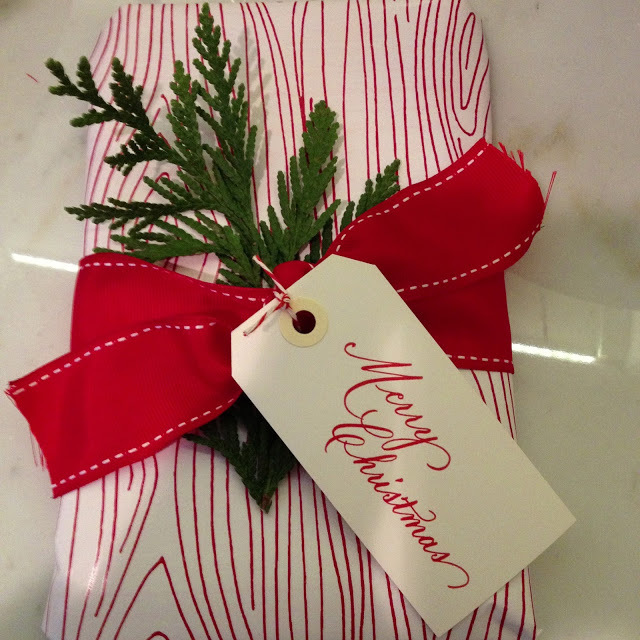 Beautiful and festive wrapping…Wish you could come and do mine…Have a wonderful Christmas. Love the faux bois!! Wishing you and your family a very Merry – look forward to seeing you in the new year!! Love the faux bois paper, but the bag was so darn cute- I want one! I never get it all done and have resolved to the notion that it's just part of the holidays! Wishing you a very Merry Christmas Elizabeth!!! Your present wrapping is perfect! has a long position in cash store australia.